America Hall, De la Rue Way, Pinhoe, Exeter EX4 8PW. Doors open 9.30am to 3pm, admittance £3. There will be trade stands, and RSGB bookstall and Special Interest Groups. Catering is available on site. Contact Kevin Burton, G6SSN, 07793 142 483, rallyinfo@garc.org.uk. Laugharne Millennium Memorial Hall, Clifton Street, Laugharne, Wales SA33 4QG. Doors open from 10am to 1pm. More details from Matthew on 07398825024. Club HQ, Wythall House, Silver Street,Wythall B47 6LZ. Doors open at 9.45am (9.30am for disabled visitors). Free on-site parking. Admission £4. Four halls of traders including Bring & Buy and a club stand. A selection of refreshments available all day and bar facilities within Wythall House from midday. Contact Ian Reeve, M0IDR, 01386 839655, wrc4hallsradio@outlook.com (www.wythallradioclub.co.uk). Discovery Science Park, Gateway House, Ramsgate Road, Sandwich, Kent, CT13 9FF. Open 10am to 4pm. Online ticket entrance £3.00; Limited early bird tickets £5.00. Tables £10.00. Online purchase/bookings now available. Callington Town Hall, Callington, Cornwall PL17 7BD. Doors open 10am – 1pm and admittance is £2. There will be a Bring & Buy (10% commission) and trade stands. Catering available on site. Ample free parking in the adjacent carpark. Rally organised jointly by the Devon & Cornwall Repeater Group and Callington Amateur Radio Society (CARS). 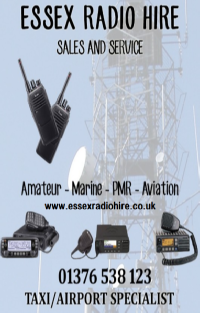 More information and bookings from Roger 2E0RPH on 07854 088882 or email 2e0rph@gmail.com. Premises of the North Bristol ARC, SHE7 building, Braemar Crescent, Filton, Bristol BS7 0TD. Doors open 9.30am, stall holders have admittance from 8am. Refreshments available on site. Details from Madeline Roberts on 0773 837 5775. Foxton Village Hall, Hardman Road, Foxton, Cambridge CB22 6RN. Digby Hall, Sherborne, Dorset DT9 3AA. disabled visitors gaining access 10 minutes earlier. There will be trade stands and a Bring & Buy as well as special interest groups and lectures. Catering is available on site. More details from Paul, M0CJX on 08451 650 351, info@radiofairs.co.uk. [www.radiofairs.co.uk]. Hack Green Secret Nuclear Bunker, French Lane, Hack Green, Nr Nantwich, Baddington, Cheshire CW5 8AL. Doors open 10am. Refreshments will be available on site. Information and table booking form on the website www.ripon.org.uk Contact rally@ripon.org.uk for further information. Norbreck Castle Exhibition Centre, Blackpool FY2 9AA. Open for traders who camp over to set up from 29th April. More information in the events page of thorpecamp.org or Sylvia or Ant on 0795 665 4481. Greene County Fairgrounds and Expo Center, Dayton, Ohio. Bowburn Community Association, Durham Road, Bowburn, Co. Durham DH6 5AT Doors open 10.10am to 2.30am with disabled visitors gaining access at 10am. Admittance is £2. There will be traders, a Bring & Buy as well as an RSGB bookstall and Special Interest Groups. Catering and a licensed bar is on site. Contact Michael Wright, G7TWX, 07826 924 1192, g7twx@mickwright.f9.co.uk. Doors open at 9.30am and admittance is £3. The venue offers easy access from the A17, large area for boot traders and modern hall for indoor traders. There will be a Car Boot Sale, RSGB Book Stall, Special Interest Groups and trade stands. Catering is available on site and there will be a prize draw/raffle. 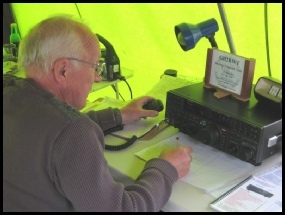 Contact Graham Boor, G8NWC, 07754 619 701, rallysecretary@sdars.org.uk. Alfreton Leisure Centre, Alfreton, Derbyshire. Kirton Recreation Ground, Back Road, Kirton IP10 0PW (just off the A14). Doors open at 9.30am and the entry fee for visitors is £2. The venue has free car parking. Trade tables are from £10. There will be trade stands, a car boot sale, a Bring & Buy, special interests groups, GB4SWR HF station and an RSGB bookstall. Catering is available on site. Contact Kevin G8MXV, 07710 046 846. [www.eswr.org.uk]. Proceeds from this rally ensure the continued operation of DMR repeater GB7MR. St Vincent de Paul’s, Caldershaw Road, off Edenfield Road (A680), Norden, Rochdale OL12 7QR. Doors open to the public at 10.15am with disabled visitors gaining access 15 minutes earlier. Admission is £2.50 with those under 12 years free. £5 per pitch (for traders with own tables) or £10 for a pitch with table provided. Refreshments available including bacon and sausage butties. Further details: Robert, M0NVQ m0nvq@outlook.com or 07778113333. Cheese & Grain venue, Market Yard, Bridge Street, Frome, Somerset BA11 1BE. Newbury Showground, next to M4 J13. Doors open 10am. Free parking. Massive indoor / outdoor traders area with major traders and club stalls from microwave components to QRP kits. Hot food and drinks all day. Admission £3. Kington Langley Village Hall & playing fields, Church Road, Kington Langley, Chippenham SN15 5NJ. 9am-1pm (disabled: 8.30am), admission £2. Car boot sale, catering, flea market, talk-in, trade stands. For more information, please visit our website or use the contact form to register your interest in booking trading space. Operated and run by CDARC. Brian Tanner, G6HUI, 0772 224 2741, rally@g3vre.org.uk. Community Centre, Main Hall, Port Seton. Bring along your own junk and sell it yourself. Tables on a first come first served basis. Entry fee £2. Doors open from 6 to 9pm. Cobham Sports and Social Club Ground, Merley, nr Wimborne, Dorset BH21 3DA. Event to be held in the evening of 31 August in Telford. Details to follow. Contact Martyn on 01952 255 416. More information and e-mail details may be found on the Telford HamFest website www.telfordhamfest.org.uk or by contacting Martyn, G3UKV on 01952 255 416. Caister Lifeboat station, Tan Lane, Caister on Sea, Norfolk NR30 5DJ. Doors open 10am to 3pm. Entry is £3. There will be trade stands and a Bring & Buy stall. Excellent catering and a large car park. Enquiries to Dave Dyer by email to G4CXQ@btinternet.com or on 07871 034206. Newark & Nottinghamshire Showground, Lincoln Road, Winthorpe, Newark, Nottinghamshire NG24 2NY. Doors open from 10am-4pm with disabled visitors gaining access at 9.45am. Admittance is £2.50. There will be trade stands, a Bring & Buy, RSGB bookstall, Special Interest Groups and lectures will take place during the day. Catering is available on site. Contact: Rob Evans, MW0CVT, 01495 220 455, mw0cvt@sky.com. Kent’s Hill Park Training and Conference Centre, Swallow House, Timbold Drive, Kent’s Hill Park, Milton Keynes, Buckinghamshire MK7 6BZ. Holsworthy Leisure Centre, Well Park, Western Road, Holsworthy, Devon EX22 6DH. Registration is at 8.30am for a 9am start. The event is due to finish at around 4.30pm. Pre-register as places are limited to G0IBN: g0ibn1@yahoo.com or 0745 342 60 87 Previous events have welcomed visitors from all over the UK. St Vincent de Paul’s, Caldershaw Road, off Edenfield Road (A680), Norden, Rochdale, OL12 7QR. Doors open to the public at 10.15am with disabled visitors gaining access 15 minutes earlier. Admission is £2.50 with those under 12 years free. £5 per pitch (for traders with own tables) or £10 for a pitch with table provided. Refreshments available including bacon and sausage butties. Further details: Robert, M0NVQ, by email to m0nvq@outlook.com or 07778113333. Venue has good parking and access to a large ground floor hall. There will be the usual Radio, Computer, Electronics, and Bring & Buy stalls as well as catering and bar. Doors open at 10.30 with disabled visitors gaining access at 10.15 am. Admission is £2:00 under 14 free of charge with adult. More details from rally organiser John, G4LRG on 0777 569 6568 or Brian, G7OCK 01388 762 678.